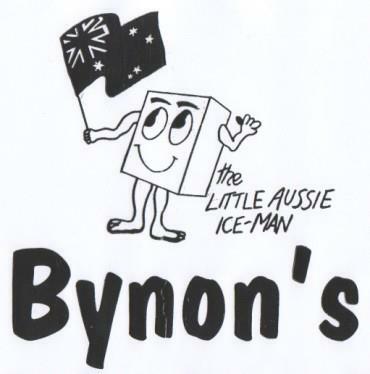 57 Beverage Drive, Tullamarine. 3043. 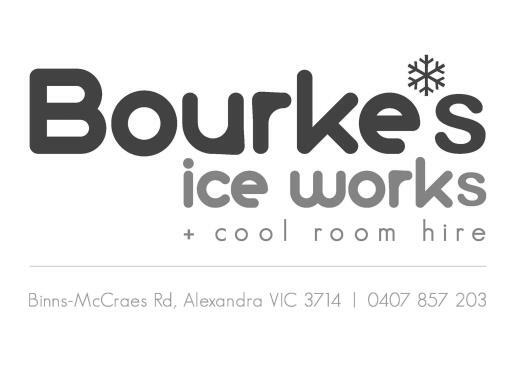 137-155 Cheltenham Road, Dandenong. 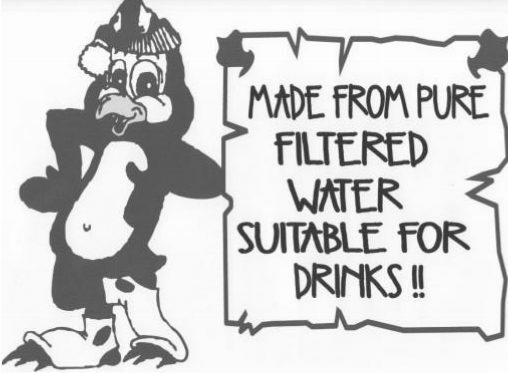 3175. 1 Binns-McRae Road, (P.O. Box 210). Alexandra, Vic. 3714. 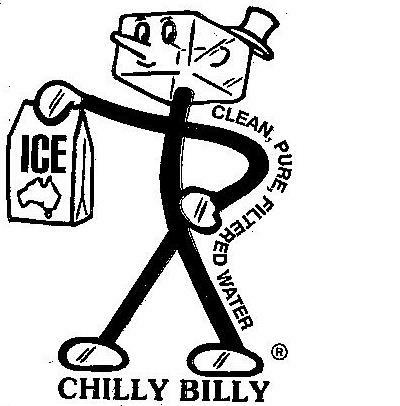 Chilly Billy P/L… Peter Sydenham. 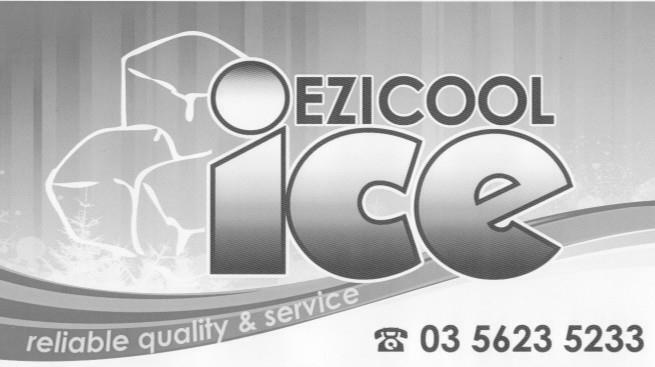 Ph: 03 9369 5731 | Fax: 03 9369 3585. 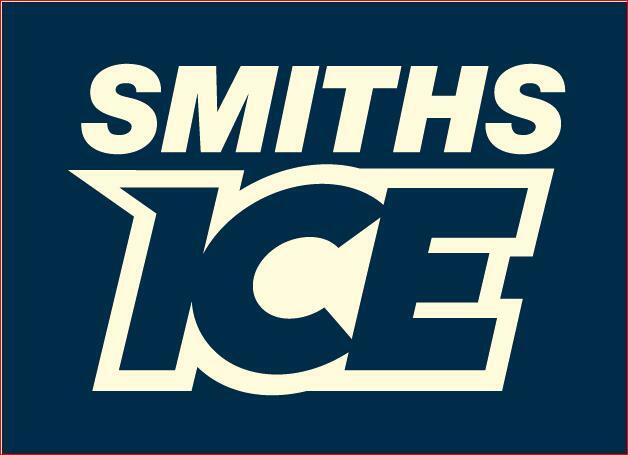 Ezi Cool Ice… Adam & Kim Jinks. High Country Ice… Colin Thomsen & Shane Fisher. 267 Dead Horse Lane (P.O. Box 524) Mansfield. 3724. 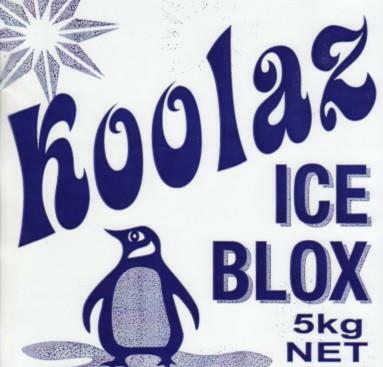 Koolaz Ice……. Graham & Polly Flett. 2 Riley St, (P.O. Box 545) Cobram. Vic, 3544. Ph: 03 5871 1066 | Mob& Fax: 0428 580 767. 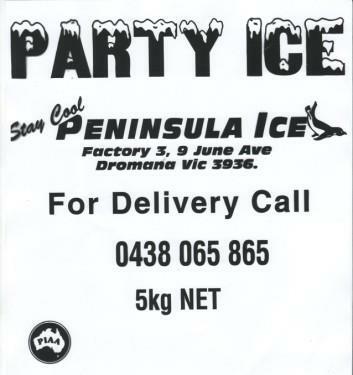 Ice is Manufactured at both sites and we distribute throughout Gippsland. 93 Curlewis Street, Swan Hill, Vic, 3585. (P.O. Box 869, Swan Hill, Vic, 3585). P.O. Box 404, Wodonga, Vic, 3690. 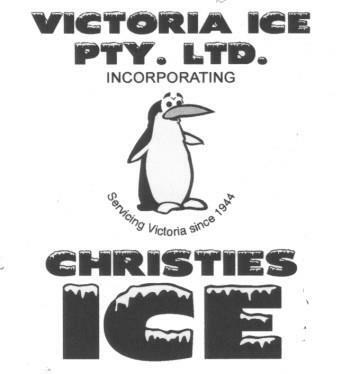 Victoria Ice P/L…. Michael Linnane. P.O. Box 1861, Bakery Hill. Vic. 3354. Peppercorn Lane, Mitchell Park, 3355.